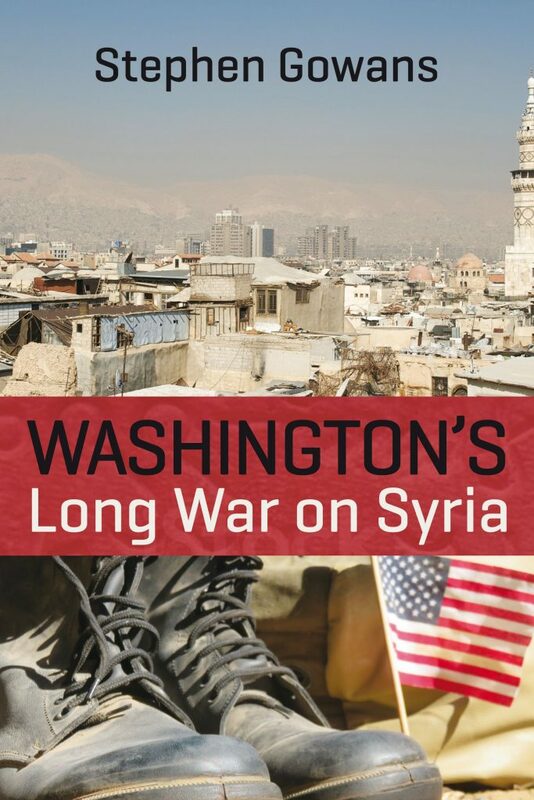 Stephen Gowans’ book, “Washington’s Long War on Syria,” available from Baraka Books. Forte explores the main themes of Gowans’ book, and the provocative questions it raises, particularly with regard to the approach of the Western ‘left’ to the question of Syria. Forte highlights this issue in the context of much of the Western ‘left’ operating as a transmission belt for the Pentagon’s propaganda on Syria and Libya. Gowans has helpfully opened a discussion about the nature of post-colonial alternatives to the U.S.-led world order, and Forte discusses the prevalence of a ‘colonial liberalism’ that prevents self-identified ‘leftists’ in the first-world from honest engagement with state-led struggles in the Global South.